Now that the terrorist threat has been neutralized, suspicions rise over the true intentions of The Renaissance. Is former Director Marcus Davids still running a rogue military under the guise of a peaceful global science organization? ...and to what end? Meanwhile, on a planet far far away, The crew of the expanse set up base on their new home. But what will be the outcome of Mission 14, its crew and The Renaissance? ATLAS V HORIZONS has been rebooted as a mini web-series and is currently in production. The original season one will now take place during season three and is still available below. ​ they are integral to the future of mankind. Atlas V HORIZONS - Episode 1: "Threats and Traitors"
​Current Day: On the day the ATLAS V HORIZONS is announced to the public Dr. Lee Adams (Daniel Husbands) Discovers a disturbing truth about the organization he works for. Meanwhile Director Davids (Ayinde Roberts) creates a plan to prevent Lee from revealing the truth. Flashback: Once the war against the DOC is over Former Director Davids and Chairman of the Renaissance Anthony Blake (Charles Rock) assemble a small inner circle to discuss plans for a new space exploration mission. 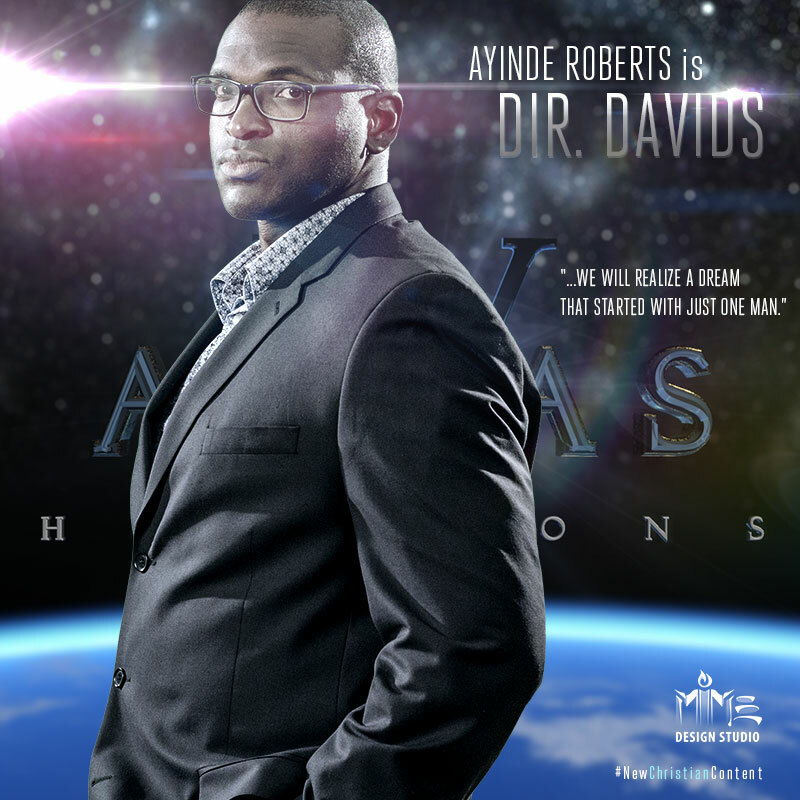 Atlas V HORIZONS - Episode 2: "Without a Vision"
Director Davids (Ayinde Roberts) takes his associates on a tour of the new facility that will serve as ground zero in their upcoming plans. Dr. Adams (Daniel Husbands) and his wife Nadia Adams (Nordia Husbands) take a leisurely walk through the tech farms and discuss their views on life in space. Next Episode:- "No place Like Home"
Atlas V HORIZONS - Episode 3: "No Place Like Home"
Mission14 is a GO! The Crew of the Expanse begin their 2 year Journey to the new planet. Atlas V HORIZONS - Episode 4 - Finale: "Broken Ultimatum"
Atlas V HORIZONS - Bloopers: "Behind The Scenes"
We really had a great time onset. We had the privilege of working with some great individuals that made our first in-house series something to remember. The Descendants of Cain was originally a group of anti-theist protesters that became a global threat after targeting religious institutions around the world. The original founders, along with their plans for a Godless new world, were captured by Director Davids during the siege of one of their covert bases. Director Davids was the cornerstone for uniting the worlds military in the war against the DOC terrorist group. He founded the Worldwide United Military Agency ("the Agency"). 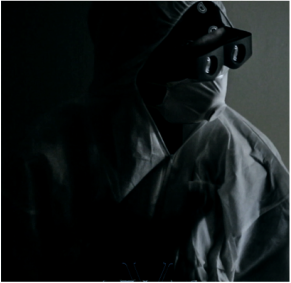 When the Agency was confrontoted with a biological threat from the DOC Dir. Davids assembled the greatest scientific minds in the world to find a solution. This group was called The Renaissance due to their temporary (turned perminant) base of operations within the Marlotte Renaissance Art Gallery. As a former agent of W.U.M.A. Melody Stephens has many hidden skill sets. When the war against the DOC was over and the Agency was allegedly disbanded she acquired an administrative position in the Renaissance that allowed her to continue keeping an eye on the global community. Anthony Blake was made chairman of the Renaissance upon its inception. He was given the position before graduating from university due to his exceptional scientific achievements and global recognition in the scientific community. 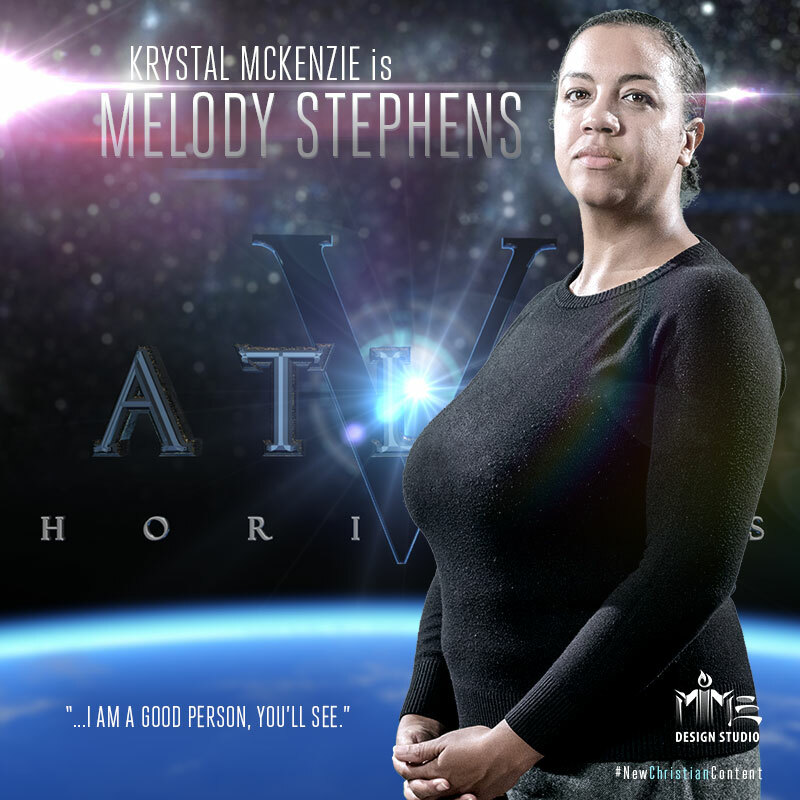 ​Atlas V Horizons S03*E01 - "Gears in a Machine"
Nadia Adams (Nordia Husbands) is visited by her abductor Melody Stephens (Krystal McKenzie) and learns more about the facility where she is being held. Dr. Lee Adams (Daniel Husbands) is off-world chasing his suspicions. 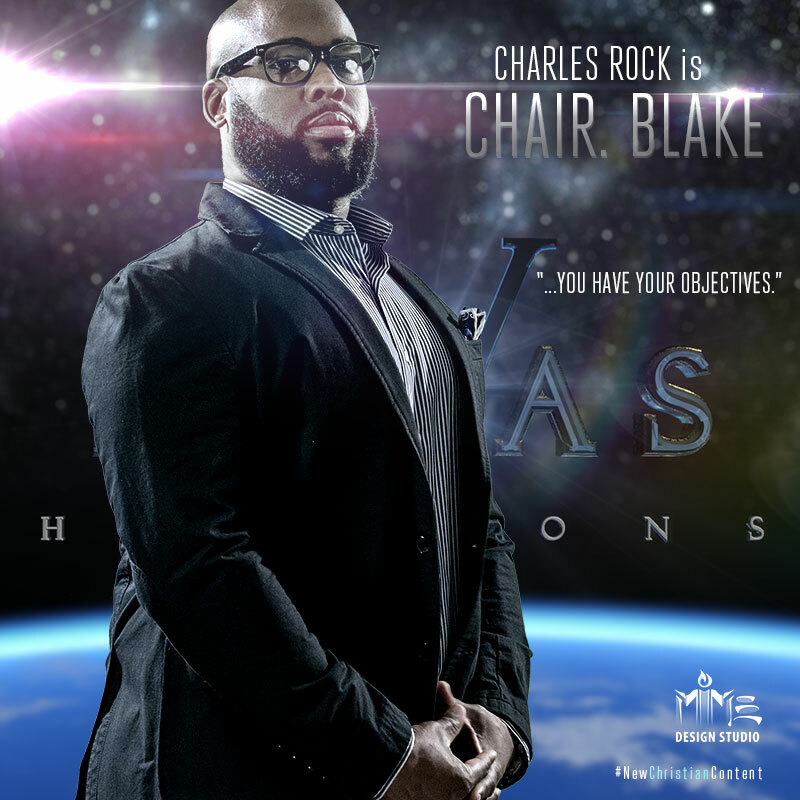 Atlas V Horizons S03*E02 - ​"Man in the Mirror"
Dr. Lee Adams (Daniel Husbands) returns to Earth from his mission to find evidence off-world, only to discover his wife has been taken by the Agency, the world's most sovereign and obtuse military organization lead by Director Davids (Ayinde Roberts). Piece by piece Adams begins to realize he has been inducted into a much larger plan. ​​Atlas V Horizons S03*E03 - ​"In Plain Sight"
The clock is ticking and Dr. Lee Adams (Daniel Husbands is forced to continue business as usual. As he contemplates his next move in his lab he receives a visitor.